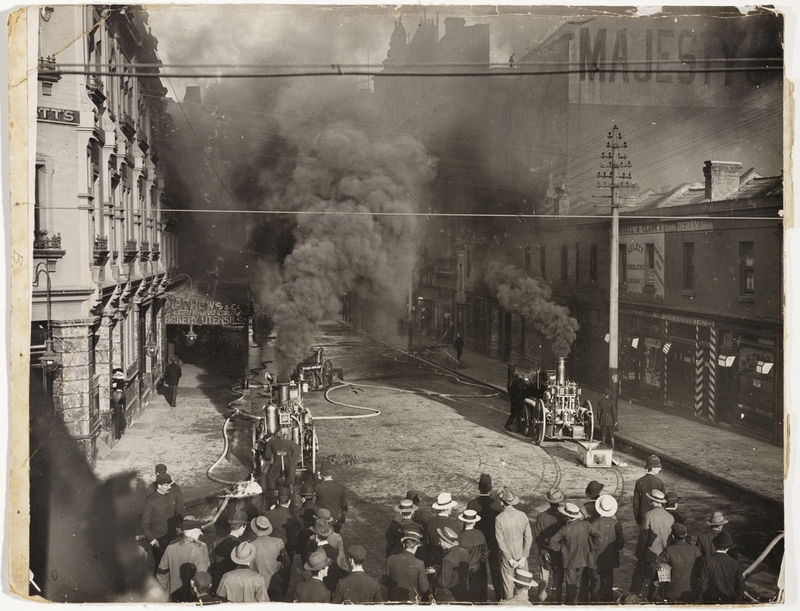 Pitt St scene with theatre on fire. Her Majesty's on Pitt St opened in 1887 and closed in 1933. Ironically, Her Majesty's was the first of Sydney's theatre's to conform to strict fire regulations developed in the 1880s.